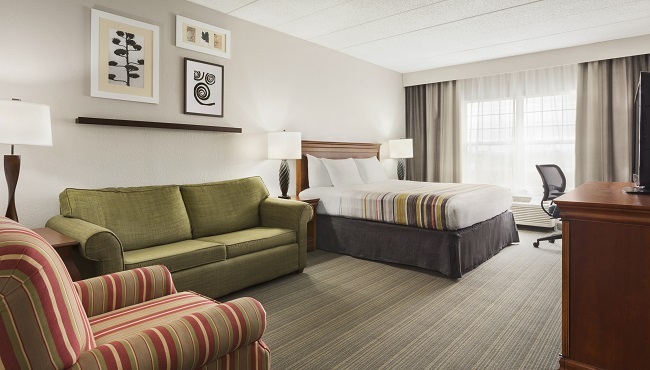 After an exciting Wildcats game, come back to the Country Inn & Suites in Lexington to unwind in comfortable beds with goose-down pillows and duvets. 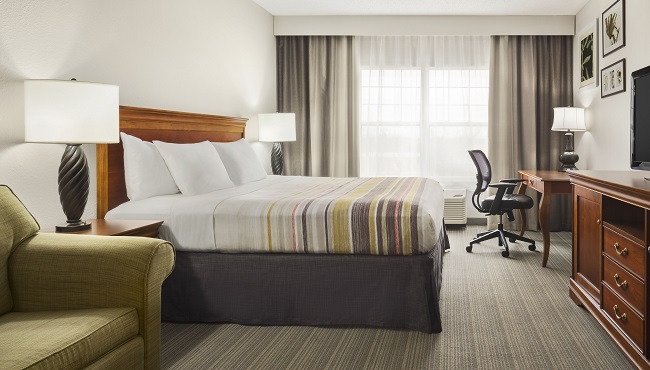 Each room includes convenient amenities like microwaves and refrigerators, making it easy to heat leftovers and keep drinks cool. Coming to Lexington with the whole family? 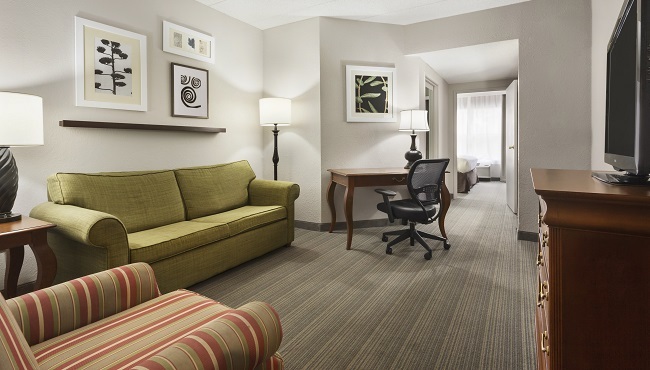 Consider our One-bedroom Suites, which provide a private bedroom for parents and a living area with a sleeper sofa for kids. Rollaway beds and cribs are also available if you need even more space. 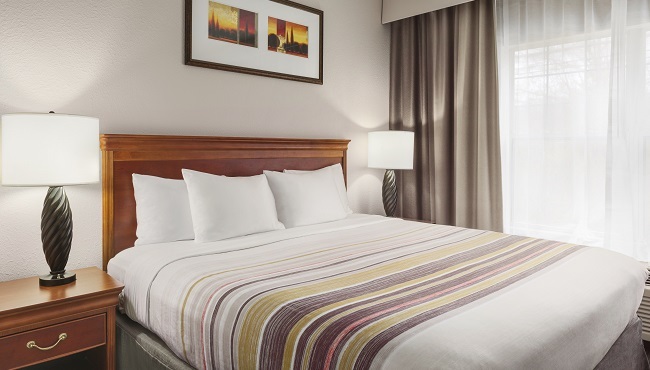 Offering either two queen beds or one king bed, our modern guest rooms provide a comfortable place to rest during short stays. Our charming Studio Suites include a sitting area with a sleeper sofa and an armchair, as well as a bedroom area with a king bed and goose-down bedding. These spacious suites include a living room with a sleeper sofa and an armchair. The separate bedroom features a king bed and an additional TV. 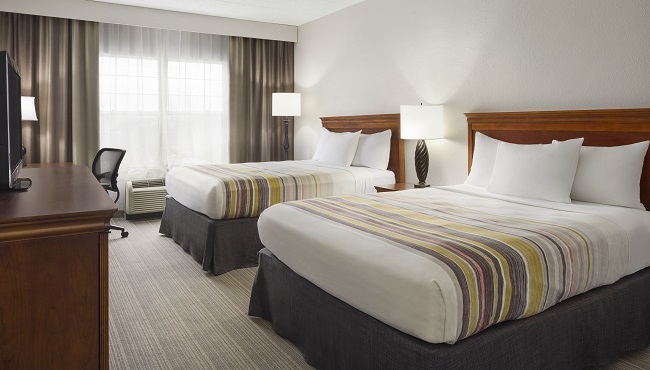 Ideal for romantic getaways, our Whirlpool Suites offer a comfortable king bed and a relaxing, in-room whirlpool for two.